Are you a Luminous Being on the journey to full self-actualisation? Welcome, Luminous One! My name is Ciara and I’m a Mystic, Consciousness Catalyst and Mentor for Wayshowers, Healers, Guides, Creatives and Spiritual Leaders of all kinds. Are you on the path of stepping into your divine purpose, doing your very best to choose your way towards the glorious future that you know is yours to live, but often times struggling with the challenges that present themselves along the way? In your heart of hearts, do you know you really have no choice but to pursue your calling, no matter how you might falter or doubt yourself at times, and are feeling the deep longing for support of some kind on this often difficult journey, from somebody who truly understands what it feels like to be walking in your shoes? This is a very different scenario to what is taught in the mainstream self-development world about attempting to “hustle” your way into success. This is a path of being guided by the soul, which dances to a very different rhythm, a rhythm that sometimes only we can hear… And a rhythm that there are tools and processes to help us attune more deeply, clearly and consistently to. We are never left on our own to figure out the seemingly impossible! Successful completion of the initiations along the path, which take us perpetually to the next level of our self-actualisation, necessitate progression through the doorways being offered at each turn in the most courageous way possible, and this is where support comes in very handy! Aside from the immense benefit and power of being “held” in the container that mentoring provides, an extra pair of eyes with far-reaching perception are an invaluable aid at the exact moments you need them most! This is my job, and I have no words for the sense of privilege and honour that it brings to me. As is clear by now, the divinely-guided journey you you may be walking if you are still reading this, Luminous One, is distinctly different to what is generally understood in the mainstream world, even among many spiritual circles, and requires its own very specific form of support, facilitated by one who has walked the road ahead and knows the pitfalls, stumbling blocks and potential shortcuts around unnecessary hardships. I have your back every step of the way in this process, and genuinely want to see you fly. As a Spiritual Mentor, my job is to guide you into the full illumination of all that you are, dissolving any obstacles that may be binding you and hindering the full expression of your luminous divinity. If working with me calls to you, you will know it, and I invite you to reach out and start a conversation if your heart tells you that engaging with some form of support is the next step on your journey, and you sense that there is something I can offer you. 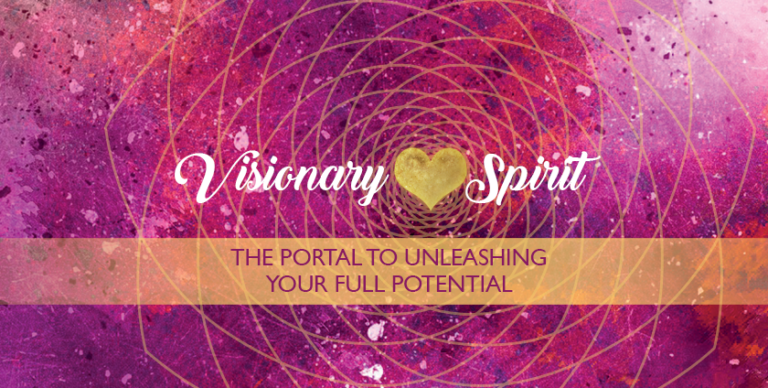 I offer a wide variety of ways to work together, from single sessions to private coaching and mentoring packages of various duration, online classes, courses and training programs, in person retreats and events, as well as my signature group program Visionary Spirit. Check out the Work With Me section on the main menu to learn more, or contact me directly to begin a conversation. I have tonnes of free resources available on Facebook and YouTube. Be sure to check out my channels via the social links at the top and bottom of this page! Bright shiny being, you’ve experienced aeons of time where it’s felt like your true nature has not been heard, seen, appreciated or understood by those around you, where you’ve had to hide parts of your luminosity in fear, or where you’ve felt that it’s not been safe to be all that you are. You’ve experienced the loneliness, the confusion and maybe even depression at the sense of being dropped on an alien planet and feeling so constricted in your potential expression. You’ve maybe had a lot of trauma in your background, in your family (this is remarkably common), or a sense of past life trauma that you just can’t seem to move beyond. You know the “ways of the world” are not for you, and that mainstream modes of being simply don’t work for you, no matter how hard you try. But you don’t know what to do in place of what feels inauthentic to the core of your being, and so often spin in circles not doing anything. The time has come to write a new story for your life – to claim your power as the architect of your own reality, to claim your freedom to be all that you are unapologetically – to free yourself from the ages of painful illusion that are part of the dream of separation, and to take your place in the life that is truly meant for you – a life of magic, miracles and flourishing. Your birthright. It’s time to remember who you are, and to claim all of your multi-dimensional majesty unapologetically. If longer-term mentoring is not what you need right now but you know that I can help you with the process of self-actualisation, take a look at my single session options, and let’s jump right in and start working on the vision of your greater destiny. Visionary, has it come time for you to step up? A new era of powerful group support for you, the Spiritual Visionary, whose singular goal is to embody your highest spiritual potential!